Thus far in the Genius Series, we’ve covered how to research products and how to brand those products. And just last week, Greg dove into the Amazon PPC strategies that he uses to achieve success with his own products. Now, it’s time to discuss more advanced marketing strategies. Some of these are a little more complicated than some of the other things, and for the most part, they’re all optional (although, I’d highly recommend at least doing those listed in the post-launch phase). If you’re interested in doing one or another, but don’t feel that you have the necessary skills to perform those actions, I recommend hiring a freelancer using our Amazon-specific freelance marketplace, Jungle Market. Learn a little more about how to make money with Amazon FBA free. We covered most of the branding and market research advanced marketing strategies a couple weeks back. However, I wanted to touch on a few more advanced marketing strategies that you can easily loop into your Amazon product launch campaign. 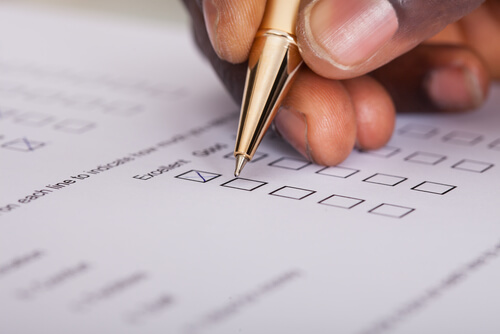 If you want to really know what your customers want, market surveys are a great way to find out. 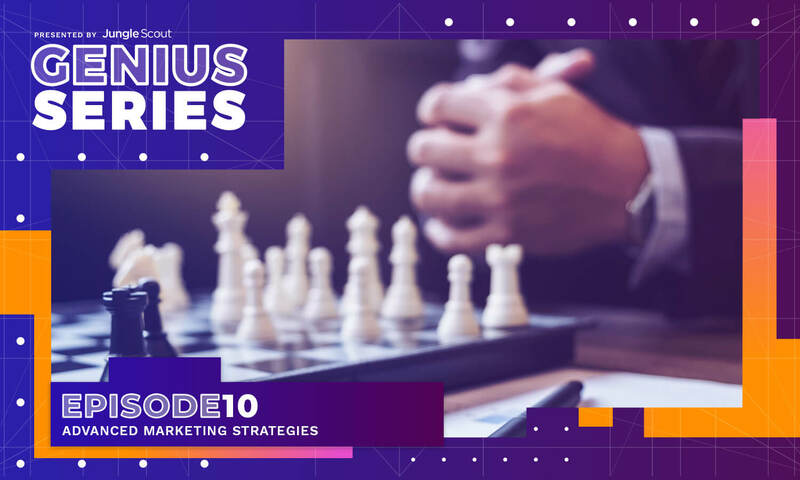 Previously, we discussed competitive analysis during the episode on branding in the Genius Series. In that portion, we covered how useful your competitor’s reviews can be for finding out opportunities with your own product. Sometimes, though, just because a product will have a complaint or two from one of its users, doesn’t mean that the whole story’s been told. How to create a market survey. Build a list of questions that you will want to ask your potential market. Survey Monkey. One of the biggest and most well known Survey sites. Typeform. More than just a survey tool, Typeform is a mega-useful tool for creating easy-to-use email forms. Survey Planet. While it doesn’t have the name recognition that Survey Monkey or TypeForm does, it does have nice, clean UX/UI. Launch your survey and track the results. You can launch your survey on social media or through email campaigns. Collect emails. Additionally, you might be able to collect emails through the use of surveys which can help you later on with contests and other promotions. Review the data and make adjustments when applicable. Checking out the competition is more than just reading about what their buyers are saying or reviewing survey results. There’s a reason that your competitors are #1. And the best way to see that is to actually put your hands on one of their products and see what makes it so good. Additionally, this can help you find flaws and opportunities yourself, especially if it’s a product that you’re already familiar with. Some things to note when doing a competitive product analysis. How is the product presented? Is it missing any obvious accessories? Does it have any additional marketing on it? Were instructions included in the box? If you really want to get the whole picture with your market, you’ll need to reverse engineer your competitor’s entire customer journey. This sounds more difficult than it actually is. This is something I do a lot while I’m scrolling through Facebook or Instagram. A lot of what I sell on Amazon operate in niches that I’m a fan of. Therefore, I follow a lot of influencers on social media. Sometimes, I’ll come across an unusual advertisement or link that piques my interest. What I’ll then do is click on the link and see where it takes me. From there, I follow the rabbit hole to see where it leads. And many times, unless the end product is crazy expensive, I’ll purchase everything along the way. How to reverse engineer a competitor’s customer journey. Find the “point of entry.” Usually, this can be an advertisement or even a shared link. Sometimes, that’s as simple as a link to their Amazon product page. Other times, it can be a totally separate marketing funnel or even a contest page. Examine the landing page. A landing page is the first page you hit when you click a link. If fully optimized, its purpose is to a minimum capture your information and/or try to make a sale. If the landing page is an Amazon product page, you already understand what will happen when you make a purchase. Sign up and/or buy. See what happens next when you opt-in or purchase the product. Do you immediately get a follow-up email? Is there a redirect that takes you to a sales page with a video sales letter? Are there bumps and upsells to raise the check average? Keep tracking them for a week or more. Often, professional sellers will continue to market to you even after they’ve made the first sale. In marketing, a “hot” or “warm” lead is one that’s far easier to convert than a “cold” one. Therefore, it makes sense to keep trying to get as much out of the customer as possible. The sum of all purchases the average customer makes is known as the Lifetime Value. Once you’ve got a product researched, branded, and sourced, it’s time to start getting the word out about your products. By doing a few of these advanced marketing strategies during the pre-launch phase, you can easily slide your listing into Amazon. 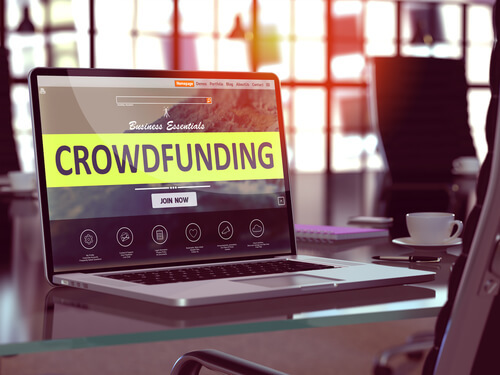 Additionally, through the use of crowdfunding, you might even be able to raise the requisite funds to launch your products and reduce your overall expenses. Calling email list building an advanced marketing strategy might be a mistake. Many in marketing would tell you that email list building isn’t just a powerful tool, it’s absolutely necessary for survival. As an Amazon seller, you don’t own the emails of your customers. Amazon does. Therefore, it’s imperative that you work to build a list off of Amazon. This will give you access to continue to market to your customers before, during, and after a sale. Of course, that’s easier said than done. Sign up with an automated email service. Note: these are different from using Jump Send where you send automated emails through Amazon’s internal email service. You have lots of options. AWeber. This is an email service I’ve used for nearly every website I’ve ever done. AWeber has a monthly cost. MailChimp. If you’re going to do a Shopify site in addition to your Amazon business, I highly recommend integrating it with MailChimp. The two were made for each other. MailChimp is free up to a certain number of subscribers. Active Campaign. For advanced reports and logic paths, Active Campaign is pretty powerful. Active Campaign has a monthly cost, but a little less than AWeber’s. Create onboarding emails. Onboarding emails are those that introduce your customers to you, your company, and your products. These are the “jab jab jab” of the marketing process, and help get your customer comfortable with you marketing to them. 4-5 emails are usually good. Decide on your frequency. Many marketers have different opinions on how often you should message people on your list. For me, it just depends on the market. If I’m marketing to a list of people for kitchen knife products, I probably will message them once or twice a week. However, if it’s informational, I might do every day. Use two-steps. This is another area where people are torn. A two-step opt-in is one where the subscriber has to confirm their entry into the newsletter before they receiving your messages. Those who are for them think they help improve conversion rates and automatically filter out bad emails. Versus those who are against, who think there may still be opportunities even for those who don’t opt-in. Of course, it’s not enough to just start an automated email service. You actually have to get people to use it. Easier said than done, right? Well, the good news is that there’s a pretty effective way of building an email list and that’s with giveaways and contests. The method is pretty genius and probably one of the best advanced marketing strategies I’ve discovered in a while. Using a service like one of the ones I mention below, you create a landing page with an email opt-in. When leads sign up for your email newsletter, the site redirects them to a thank you page. In addition to the thank you message, the subscriber is given a unique link and a mission. Their mission? Get their friends to sign up to the same opt-in page using their unique link. For every person who signs up, the subscriber is awarded more contest entries, rewards, etc. So out they go, sharing the link, bringing in more leads. Then those leads sign up, get their links, share, and so forth. Presto! Viral growth. The method was made popular by the Harry’s brand of men’s shavers. You can read about them on Tim Ferriss’ blog. Pick a good contest/giveaway content management system (CMS). You have a few options. ViralSweep. This one is probably my favorite. The site’s co-founder, Giancarlo, actually does customer service for the company. And they’re not a dinky little company, either, with just over a million visits per month. Kickofflabs. What’s cool about Kickofflabs is that it actually has the same landing page/thank you page combination template that Harry’s used. KingSumo. If you’re a little more tech savvy and don’t feel like paying a monthly premium, KingSumo offers a WordPress plugin with a one time payment. It’s from Noah Kagan and the folks at Sumo. Determine what you’re going to offer your fans. Harry’s offered actual products, but a lot of people just use increased contest entries for their list building. While the former might be a bit more complicated, the conversion rates and virality are no doubt higher. Outline your goal. Why are you building this email list? Are you doing it for a new Amazon product launch? Or is it for a Kickstarter campaign? Maybe it’s just to build it. Integrate your automated email service. 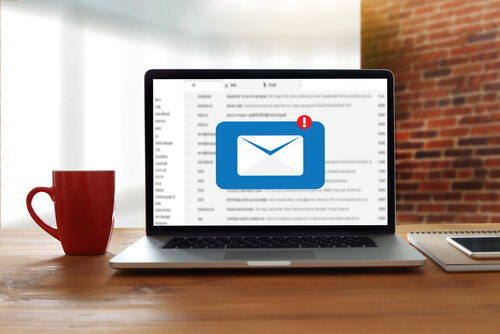 Once you’ve got everything up and running, be sure that you’ve got your onboarding emails set so you can get your new fans accustomed to your frequency right from the start. Drive traffic to your landing page. There’s a number of ways to do this. Harry’s used influencers and leveraged a list of 100 or so colleagues. Others have used advertisements on Facebook, Reddit, and Google to drive traffic. I’ve mentioned the power of Kickstarter a few times on this blog, especially as a way to earn funds to get you started. But Kickstarter also one of my favorite advanced marketing strategies. Also, I believe that if your product can’t get funded on Kickstarter, it might not be worth doing. If you aren’t familiar with Kickstarter, Kickstarter is a crowdfunding platform. A crowdfunding platform allows you to advertise a product that’s still in the “prototype” stage of development. You set a fundraising goal that will help you manufacture and finalize the product. And instead of purchasing a product and receiving it immediately, leads offer funds in exchange for an early sample of your product once your campaign is a success. Create your prototype. You can get away without having a prototype on Kickstarter, but it’s pretty hard to get funding if you don’t have something to show your fans. This can be as simple as ordering a sample product from your would-be manufacturer. Make a video. Even if you’re not great at making videos, you’ve got to have a video. According to Kickstarter, projects with videos have a 67% higher chance of success than those without. Hire someone on Craigslist or have a whiteboard video made on Fiverr. Heck, just use your phone. But you gotta have one. Build your Kickstarter page. Kickstarter pages are very visually oriented. You’ll have your video, of course, but be sure to include tons of pictures, too. I’ve also noticed that a majority of successful Kickstarter projects will have more graphics than they’ll have written copy. Also, there’s no shame in the game for modeling your Kickstarter after another successful Kickstarter page. Drive traffic to your Kickstarter. Once your Kickstarter is live, people need to know about it. If you’ve built a mailing list using a contest or giveaway, you’ve already got a built in market. You can also create ads on Facebook, Reddit, etc. and leverage influencers. Now your product is here; what do you do now? 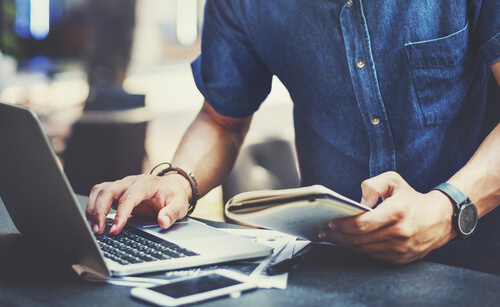 We’ve covered the importance of Amazon PPC, but there’s also a few other classic advanced marketing strategies you can employ to ensure that your product gets a strong start with Amazon. This is probably one of the oldest and most well known advanced marketing strategies for Amazon products, but it’s still pretty effective. Amazon promotions not only spread the word about your product, but the rapid sales created from a deal site campaign can help your product rank higher and also collect early reviews for your product. Create a promo. Once your product hits the Amazon fulfillment center, under Advertising > Promotions, you have a few options to create promotions. Select the percentage off option and put in your product. While it’s recommended that you don’t discount for more than 49%, you’ll make quicker promo sales when you discount at 75% off or less. Set up a deal site campaign. While there’s a lot of deal sites to choose from, the best bang for your buck comes from our own Jump Send. Not only do we have considerably more shopper traffic than our competitors, but it’s also the lowest starting rate at $29 for three products and unlimited email campaigns. Track your keyword ranking progress with Splitly. 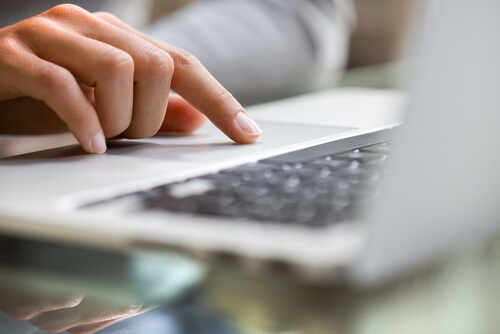 As your promo goes out, make sure to track your keyword process. You don’t want to give away too few promos or too many, and knowing how your ranking is doing with Splitly can help you gauge that. While it’s not really one of my “advanced marketing strategies” per se, and more of a customer service thing, automated follow up emails help your customers know you care. It can be pretty difficult to get in touch with your actual customers when you’re using FBA. Fortunately, there’s solutions for that. Using an automated follow up email can help you get in touch with your customer and mitigate any issues that might arise. Furthermore, these emails can help you earn good seller feedback and product reviews. Join an automated follow up email service. If you’re already using Jump Send, then good news: you automatically get automated follow up emails in addition to the promotional coupon giveaways. Create email templates for your customers. While Jump Send has a lot of great templates, you might want to tailor your own specific email templates. Track your results. One of the easiest ways to see how you’re doing is to simply look in your Amazon Seller Central communication tab and see if the emails are going out. Reply to all emails quickly. You won’t get a whole lot of replies, but it’s important you answer them ASAP. These emails can help you handle any issues right out of the box. Amazon will follow up, too, but unfortunately their customer service can sometimes be spotty. This is your product and your business, so you want to be the face of it. Believe it or not, A/B testing is one of the biggest advanced marketing strategies that you can add to your bucket of tools. If you aren’t familiar with A/B testing or split-testing, it is the process of testing multiple variations of a marketing campaign by sending a different version of your Amazon listing to a different market segment. Everything about your Amazon listing is marketing. Whether it’s your photos, your price, the title, or the description itself, all of these things can make or break your product. Split testing lets you change all of these. You’ve probably been tracking your keywords with Splitly already if you’ve been doing a Jump Send campaign, so right away you’ll have access to Split testing. Sign up with Splitly (if you haven’t already). Determine what you want to split test. You might try product photos, title, or descriptions. Eventually, you’ll want to test them all. Use the product peak function to test prices. Product peak actually tries out various prices for your product to see which one converts well. Sometimes, higher prices actually do better than low prices thanks to the power of the “expensive equals good” bias. Amazon ads are probably the most effective way to get the word out about your products. If you haven’t already, go back and read Greg Mercer’s article on how to manage Amazon PPC ads. Your job as a marketer isn’t done at the first sale. In fact, it’s just beginning. 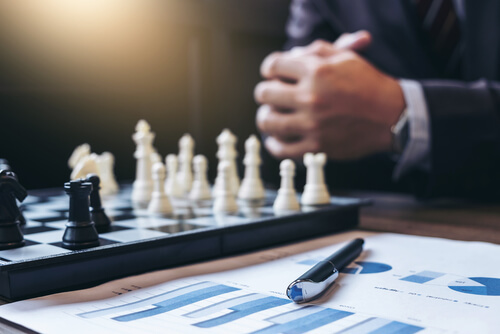 Here’s a few advanced marketing strategies you should consider to capture more money and increase the lifetime value of your Amazon customers. When you sell products on Amazon, you’re going to move a lot of volume, far more than you’d probably get doing it yourself. That’s why it’s important to remember this acronym: ABM. Always Be Marketing. After all, you’re not just making money on these people, but you’re getting a chance to demonstrate your brand. Therefore, each sale is another marketing opportunity. And each one of your products is an advertisement. Obviously, you should put your website’s URL somewhere on your packaging. 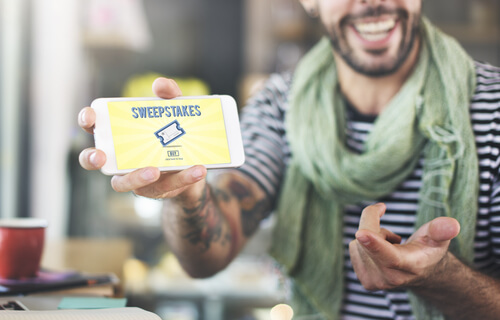 But you could also include coupons to new products, free ebooks off site, and more to continue to build on your relationship with your customer. 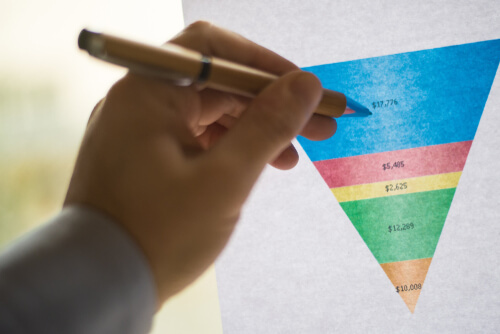 If you’re going to use the back end sales funnel (see below), then this is one of the advanced marketing strategies that you should really consider. As I mentioned before, Amazon owns your customer’s information. And it’s not easy to wrest that control from them. However, if you’ve followed some of the other advanced marketing strategies in this blog post, you’ve probably already started to build your following/fans outside of Amazon. Now it’s time to do something with them. Obviously, you can direct your newfound fans to any new product launches that you have, Kickstarters, etc. But for those who’ve already purchased, you might consider directing them to your brand site. To get a brand registered product, you’re going to need a brand site anyways. Many sellers just throw up a simple Shopify or Wix page to direct customers to and forget about it. 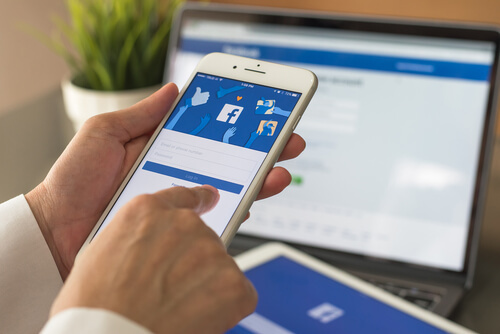 However, a page that’s set up as a high-converting sales funnel is probably one of the key advanced marketing strategies that sellers who make millions use. Shopify. As far as CMS’s go, Shopify’s user interface is damn near perfect. I can set up a website in as little as 20 minutes with Shopify and its integrations are incredibly smooth. ClickFunnels. If you’re looking for a service that works to convert well, then ClickFunnels is for you. Founded by Russel Brunson, whom I learned a lot of my advanced marketing strategies from, it’s easy to set up and will work overtime to make sure you get plenty of back end sales. The only drawback is that ClickFunnels tends to be a little pricey. WordPress. While you don’t have to be a master at website development, WordPress is definitely a little more advanced. However, it tends to be more cost effective and versatile than the other options I mentioned. Bridge (optional). Sometimes, you have to warm up your leads a little. Even if they bought your Amazon product, in a lot of Amazon shopper’s minds, anything they buy from Amazon is from Amazon, whether it actually is or not. Typically a “bridge” is a blog post, article, or video that helps introduce your leads to the concept. It will then redirect to a landing page/opt-in page. Landing page/opt-in page. If you didn’t need a bridge, then the first place that your leads should hit once they visit your website is a page that seeks to immediately capture their information with an email opt-in. Typically, you can do this with a lead magnet, like a free ebook or tool, or a free-plus-shipping offer. Thank you/sales page. After you’ve got their information, you should test if they’re a buyer or not right away. Do this with a redirect from the opt-in page that leads to a page that thanks them for signing up and then offers an immediate sale. This can be another product that you have, or even a digital product that complements your first product. Upsells and bumps. Now that you know they’re a buyer, it’s time to see if they’re a hyperactive buyer. Do this with upsells and bumps, immediate sales offer following the first sales offer. Typically, these are optional products that help boost the first (and possibly second) products that you’ve sold the customer. Create targeted email marketing campaigns. Just like with the other email lists that you may have built before launching your products, you’ll need marketing emails for those who enter your marketing funnel, too. Drive traffic to your marketing funnel. There’s innumerable ways to do this, but as I mentioned before, once you’ve already made a sale on Amazon from your customer, you can simply drive traffic to your landing page using marketing material in your packaging. Review and split test. Like everything that’s listed here in the realm of advanced marketing strategies, you’ll want to review and split test your back end funnels, email campaigns, and advertising campaigns. Finally, there’s advertising off Amazon. Greg covered in detail how to advertise on Amazon using Amazon PPC, but with your advanced marketing strategies you might consider creating ads on other platforms, too. There’s hundreds of options, too. Social media advertising. Facebook, Twitter, Instagram, Pinterest, LinkedIn. All of these platforms offer advertising opportunities. Communities. You can further target your ads using platforms like Quora and Reddit which help “warm up” your market for you. Native advertising. A hugely cost effective method of advertising is buying advertising directly from a niche market website or blog. Influencer advertising. The internet is full of tastemakers. Often, these tastemakers will have their own mailing lists, social media following, blogs and more. And their opinion carries a ton of weight and can sometimes be cheaper than buying ads elsewhere. As you can see, there’s tons of advanced marketing strategies out there for you to capitalize on. And of course, each of these methods is a whole word unto itself and probably demanding of a whole blog post (or book) all its own. Test out the advanced marketing strategies that interest you; double down on what works and cut what doesn’t. This wraps up the marketing portion of the Genius Series. Next week, the King himself returns to answer your questions regarding The Genius Series, marketing, and whatever else is on your mind. So mark your calendars for April 4th, 2018! Just wondering, since you are spending the time and money of doing all this to sell on Amazon platform, why not just create your own ecommerce store and spend all your energy on something that is your and have full control? At the end, that’s why you are trying to do with the power of Amazon, right!!!!! Great point. And for many who use these methods–they are advanced methods, of course–they already are doing it. But if you’re a fan of the Lean Startup theory, Amazon works as a great springboard for new products since it a) gives you product sales data, b) does all the fulfillment for you, c) lets you test a product before you invest too heavily into it. The goal eventually is to get away from Amazon, of course.